ProResource > Personal branding > Are You a ProSocial CEO? But it’s not always possible for a CEO to make the time commitment it takes to have a regular presence on LinkedIn, Twitter, Facebook, and other social media platforms. Daily activity is great for personal brand awareness, but for a high-level executive, it’s not realistic. 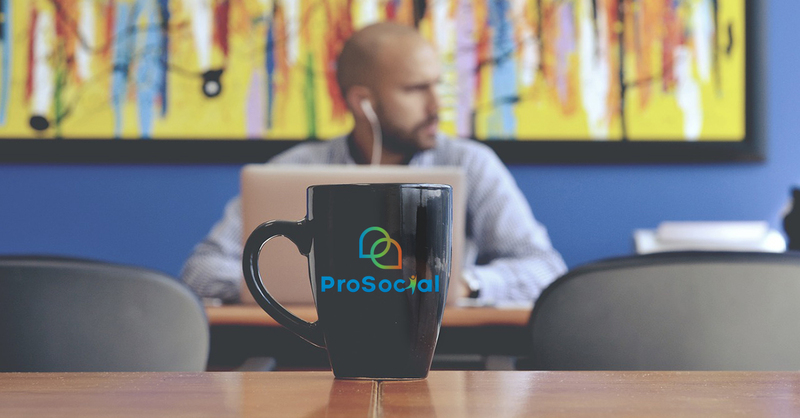 Enter the concept of the ProSocial CEO — a CEO who may or may not have the time to be personally active on social media, but who appreciates the value of social media and encourages their team to make active use of social media to benefit the business. While regular blogging, native video creation, and sharing and commenting on posts may not be possible for every CEO, it is possible for all CEOs to have a basic understanding of social media — a crucial tool for managing your team successfully and growing your business. As CEO, your personal brand matters. In fact, according to the Harvard Business Review, 44% of a company’s market value is attributable to the reputation of its CEO. People will google you, and your LinkedIn profile will come up at the top of those searches, so it’s worth the investment to craft a profile that impresses people, putting you in the driver’s seat when it comes to your online reputation. But it’s not just you. The rest of your leadership team, your subject matter experts, your sales executives, product marketing, and anyone who is customer-facing should have a strong personal presence online. Most companies invest in creating educational content to promote their business and share it in social media. The problem: Simply posting news doesn’t give you the reach it used to. For platforms like Facebook, users could only see 2% of the pages they follow in their newsfeed, making organic content nearly irrelevant. You should consider investing in social media advertising — in other words, pay to place your content where your target customers are most concentrated, most accessible, and most actively engaging with ads. The numbers speak for themselves: Social media advertising revenue is forecast at $51.3 billion for 2018 and set to grow 10.5% annually. According to LinkedIn, sales professionals who excel at social selling are 51% more likely to exceed quota. Use LinkedIn to not only identify prospects but take things to the next level. Introduce yourself, engage with their content, start a conversation, and, eventually, get a relationship off the ground. After finding an open job, 64% of candidates say they research the company online, including taking a look at the LinkedIn profiles of potential employers and company pages. What’s more, organizations that invest in employer branding are three times more likely to make a quality hire. LinkedIn is an excellent tool for building a talent pool, so use it. Reach out to your connections for referrals; in our experience, 40–50% of the people you contact will connect with you. Once connected, they will see your updates and company news as you share it on LinkedIn. This helps build buzz about your company and allows potential employees to get excited about what you are doing. You are likely many years away from selling your business, but just as you get a line of credit before you need one, you should prepare early. Companies that use social media effectively for lead generation have a system that can be passed on to new owners. Consider investing in building the personal brands of the people who will stay on to run the business. This allows you to step away from the business more easily. Building a talent pool makes your business easier to scale. How Many of These Strategies Are You Using? All of these strategies not only add value to your business and allow you to sell it for a higher multiple when you’re ready, but they also make it easier to run your business now. Are you using LinkedIn as effectively as you could to build your personal brand, promote your business, and make progress on critical initiatives? Use our LinkedIn Checklist for CEOs to get started!